Thanks to a well-orchestrated press release, the whole city knows about plans to bring a Whole Foods to the University of Chicago’s neighborhood, Hyde Park. 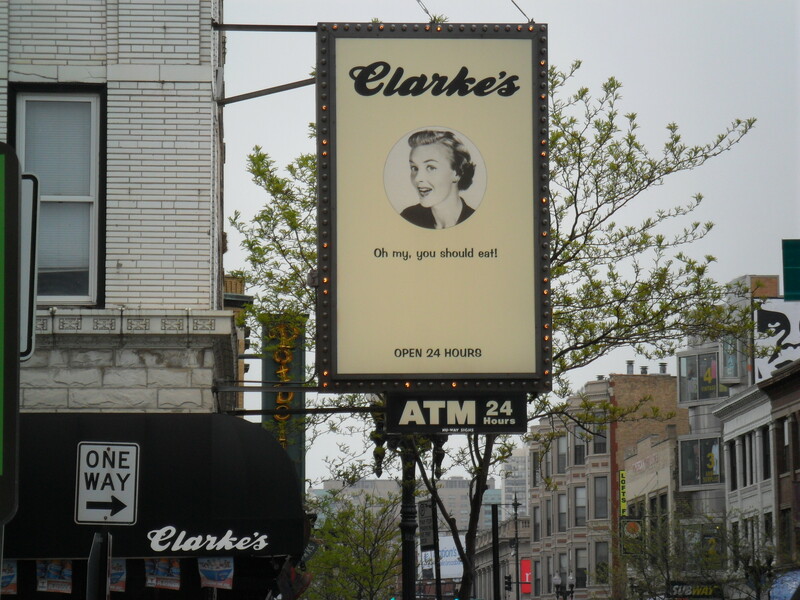 But what really has some students excited is a recent university announcement that Clarke’s diner, a twenty-four-hour restaurant with locations in Lincoln Park, Wicker Park and Lakeview will open a branch in 53rd Street’s Harper Court, just blocks from campus. Twenty-four-hour eateries are a staple of college towns and urban campuses: the University of Michigan has Fleetwood Diner, Yale claims Gourmet Heaven, NYU has the Ukrainian restaurant Veselka and Columbia University has Tom’s Restaurant, whose exterior stood in for the fictional Monk’s Cafe on “Seinfeld.” As any college student knows, these restaurants serve as crucial way stations for partygoers, meeting places for couples and coffee breaks for crammers. But when it comes to getting greasy food quickly and cheaply any time of the day or night, the University of Chicago has fallen behind its peer institutions. The Medici, a veteran hangout on 57th Street, is only open until midnight—and that’s on Fridays and Saturdays. The campus dining halls close at 8pm, and even the campus convenience stores, Bart Mart and Midway Market, shut down at 3am. Some students opt for Taco Bell on 79th Street, the Maxwell Street Depot on 31st, White Palace on Roosevelt, or even Clarke’s on Belmont. But for those without a car or temporarily bereft of the ability to drive, commuting to these far-flung locations is quite a hassle. The last twenty-four-hour restaurant to call Hyde Park home was the Hyde Park Coffee Shop, located in the 1920s-vintage residential hotel the Del Prado. From 1966 to 1982, the restaurant served up food, service and decor that was, in the words of a 1980 article in the Hyde Park Herald, “unremittingly coffee shop.” Another article, comparing fried chicken at various neighborhood restaurants, called the Coffee Shop’s bird “dry, raw tasting…worse than one would expect.” Still, some students from that time fondly remember eating pancakes at 3am after a bacchanalian evening. This was a different era, when Hyde Parkers could enjoy upscale-ish Chinese cuisine, lakefront views and tropical cocktails at the House of Eng on Del Prado’s top floor. Those days are long past. Shortly after the Del Prado’s 300 rooms were converted into apartments, the Hyde Park Coffee Shop was evicted from the old hotel lobby. The developer dryly remarked to the Herald, “Have you had a cup of coffee there lately?” At the end of the eighties, House of Eng, too, closed its doors. According to University spokesman Steve Kloehn, calls for a twenty-four-hour restaurant have been mounting in recent years. A 2007 University web and phone survey of residents and students revealed a strong interest. Later that year, the university formed a working group composed of U of C staff and students to flesh out the results of the survey. In April 2008 the group released a report with a number of recommendations for improving community life; at the top of the list of dining recommendations was a twenty-four-hour restaurant. A late-night-dining pilot program inaugurated last week that kept some campus dining halls open until midnight drew thousands of students, according to Student Government Vice President for Student Affairs Patrick Ip. However, Ip believes that with the development of the Harper Court area slated for completion in 2013—there are plans for a boutique hotel, a movie theater and at least one other restaurant—more transportation options will be introduced, and 53rd Street will increasingly be a “destination” for students. “Students are going to naturally start hanging out at 53rd Street,” he says.